This breakfast sausage comes in around 1 lb packages. 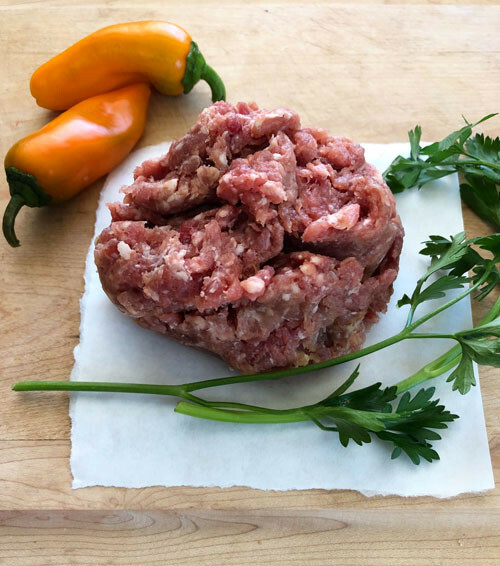 Ground pork mixed with spice and a little sugar to achieve the desired taste. Tastes even better if it is beside a campfire!